What is a bill? - How can we help? A bill is an official document issued by a vendor to a buyer to showcase the products and or services that the company purchases. The vendor issues you the respective supplied on credit, which is why they issue you a bill. You register this bill in your invoicing software and track it until it is paid. 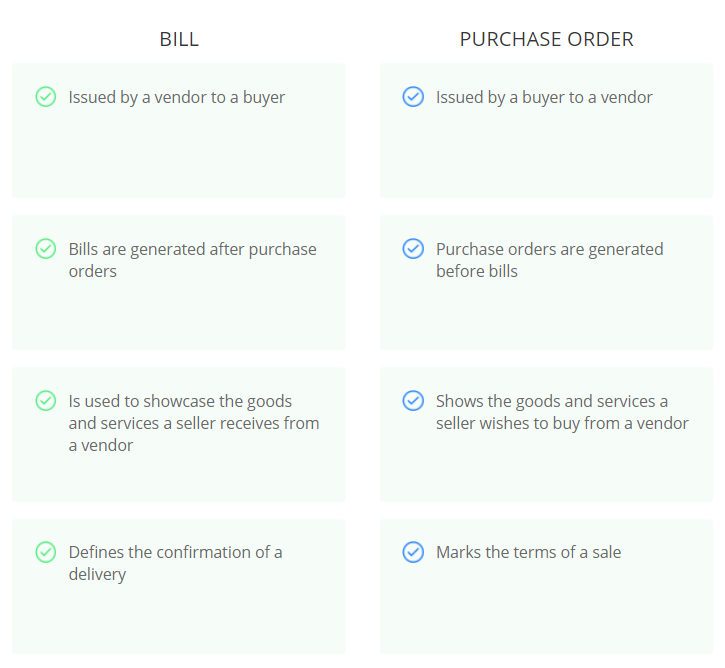 What are the differences between a purchase order and a bill. A purchase order is a document that a buyer issues to a vendor describing the products or services that a company wishes to buy. A bill is a document the buyer enters in their invoicing software to record the goods or services that they received from the vendor, which they are obligated to pay for.